2017's Premier Proof Set is Here! 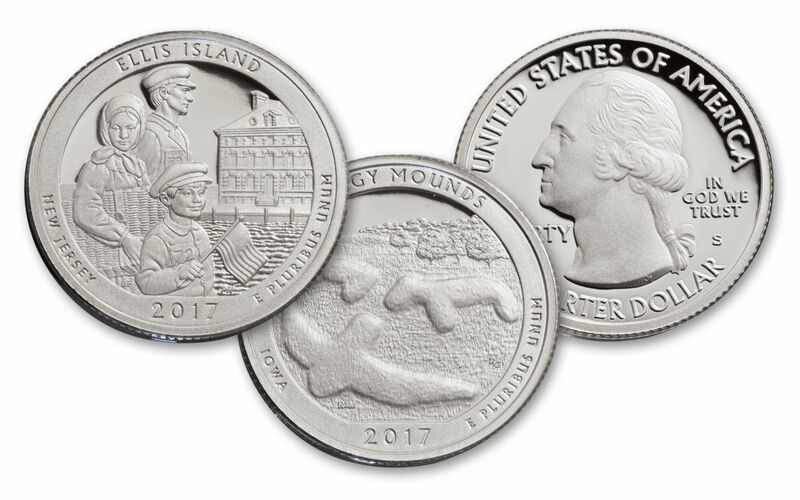 Each year, collectors clamor for the United States Mint's Uncirculated, Proof and Silver Proof coin sets. However, these are just the opening act for the main event -- the United States Mint Limited Edition Silver Proof Set! Making its debut in 2012 and struck every year since then (except for 2015), this collection stands alone as a stunning collection of silver U.S. coins. So, what "sets" this Limited Edition Silver Proof Set apart from the rest? 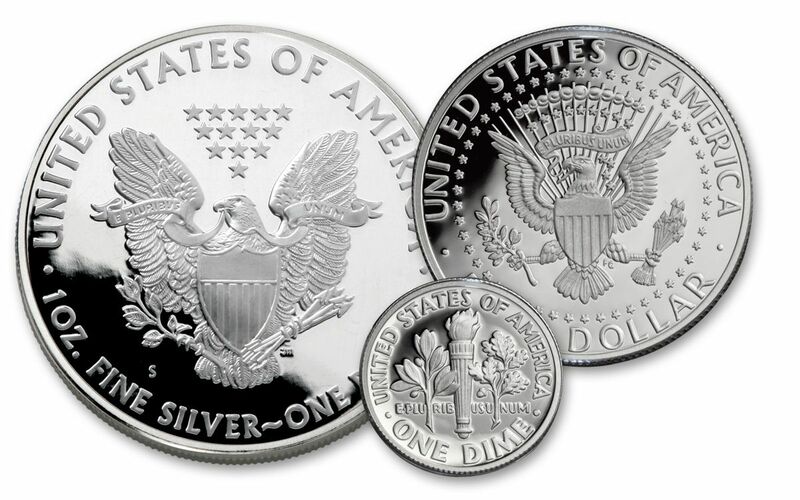 First, unlike the U.S. Mint's regularly issued Silver Proof Set, there isn't a non-silver proof in this bunch! The cent, nickel and dollar coins have been replaced by a single gorgeous 2017 Silver Eagle Proof. Second, all of the coins in this Limited Edition Silver Proof Set are struck in 90% pure silver, except for the 99.9% pure Silver Eagle Proof. Third, ALL of the coins in this set have been struck at the San Francisco Mint, which is an event in itself! 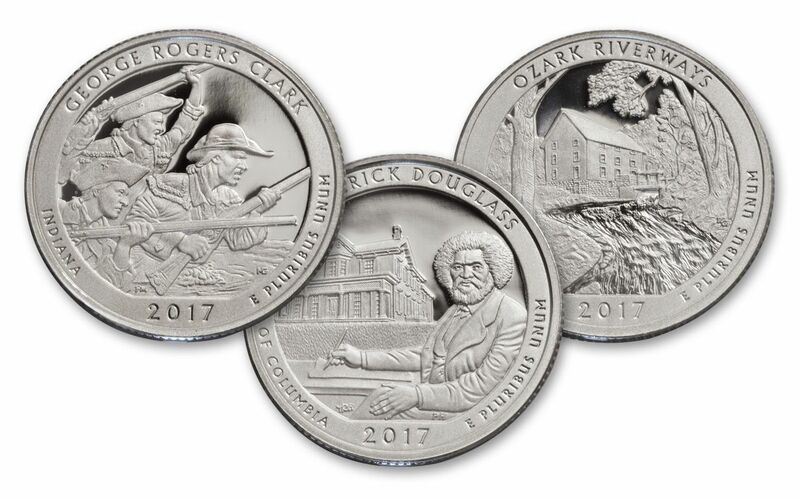 90% PURE SILVER AMERICA THE BEAUTIFUL QUARTERS®-- All of the year's America the Beautiful Quarters are here, representing Effigy Mounds National Monument in Iowa, the Frederick Douglass National Historic Site in Washington D.C., Missouri's Ozark National Scenic Riverways, Ellis Island as part of New Jersey's Statue of Liberty National Monument and George Rogers Clark National Park in Indiana. A SUPERB KENNEDY HALF DOLLAR AND ROOSEVELT DIME-- In addition to a silver Roosevelt Dime, this set also includes a Kennedy Half Dollar struck on the 100th anniversary of John F. Kennedy's birth! 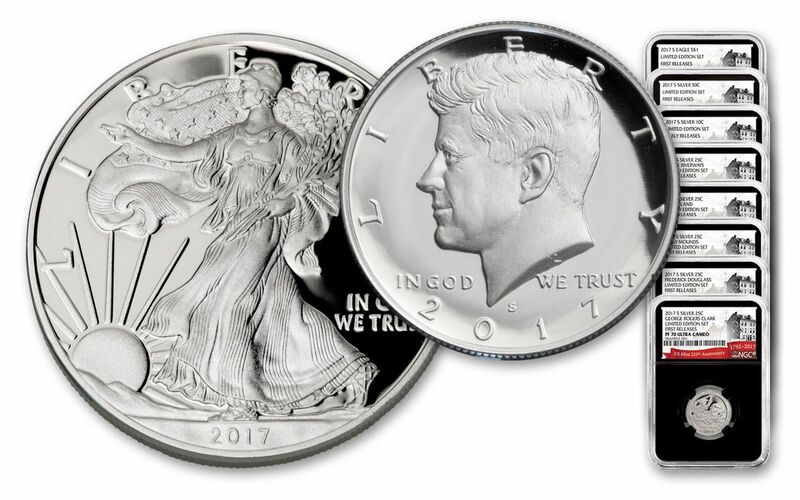 A SAN FRANCISCO-MINTED SILVER EAGLE!-- Usually, each year's Limited Edition Silver Proof Set includes a Silver Eagle struck at the West Point Mint -- but not this year! To celebrate the U.S. Mint's 225th anniversary, the San Francisco Mint was called upon to produce a special run of 2017 Silver Eagles just for this set. Prior to 2017, Silver Eagle Proofs have only been struck once at the San Francisco Mint in the past 25 years. This 2017 series joins the 2012 run as part of that special "S" mintmark class! While 75,000 San Francisco Silver Eagles were struck earlier this year, the Silver Eagles produced for this set are the absolute last of 2017's mintage in "The City!" 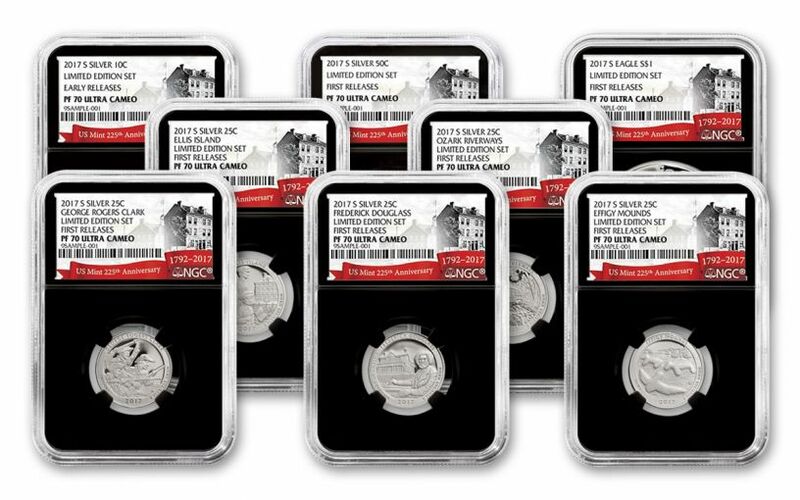 CERTIFIED FLAWLESS-- Each coin will also come certified Proof-70 Ultra Cameo (PF70UC) by Numismatic Guaranty Corporation (NGC), a distinction that means each perfectly-graded silver proof in your set will have ZERO imperfections -- showing all features and fields exactly as the engraver and mint intended! In addition, your proofs will be certified First Releases (FR) by NGC, meaning that they were among the first struck by the mint and were verified within the first 30 days of issue. Finally, each coin will be sonically sealed in its own protective acrylic case with a distinctive black display core and a special 225th anniversary label! PUTTING THE "LIMITED" IN "LIMITED EDITION!" -- The mintage for this collection has been set at EXACTLY 50,000, making this one of the most-limited mintage sets of the year! 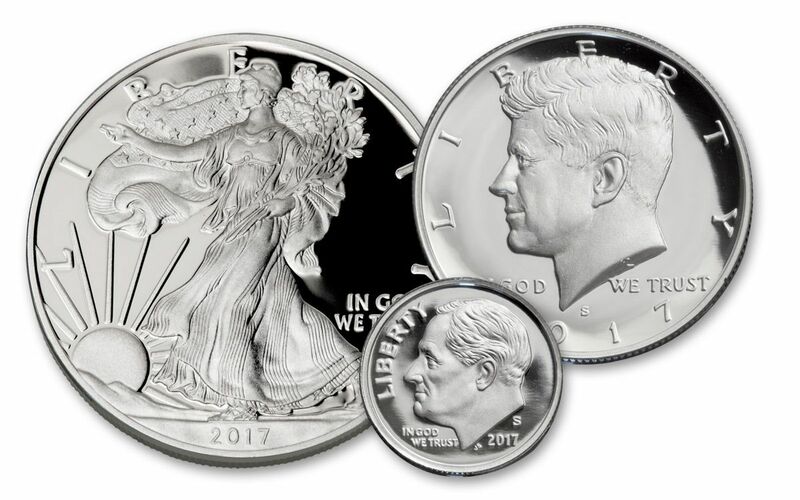 Collectors have been anticipating this 2017 Limited Edition Silver Proof Set all year, even without knowing all of the incredible details about the year's included Silver Eagle Proof. With high collector demand for San Francisco-minted Silver Eagle Proofs already seen earlier in 2017, we're expecting this limited run to evaporate quickly. Don't miss out on this incredible opportunity -- order yours now!